New Opalesque INVESTOR Roundtable: Investors in alternative investment asset classes are diversifying more than ever in today’s markets, and are starting to find far more creative opportunities than ever in the past. With bond yields producing very little income and fee pressure on alternative asset managers due to performance concerns and a perceived lack of alpha, managers, investors, and specialized service providers alike are all taking part in a massive transformation in alternative investing. Nearly 70% of the total hedge fund industry’s AUM is managed by a small group of large managers. While this group makes up less than 10% of the total number of funds in the industry, 75% of hedge funds manage less than $500M in AUM. This is the segment a number of investors focus on to get access to talented, smaller, more nimble firms who can still outperform and deliver alpha. Wealthy families in particular are looking for diversified alternative income investments as a way to replace bond income, which has traditionally supported their lifestyle. Their problem is that things like yachts, private planes, art, and expensive overall lifestyles have much higher inflation rates of 12 to 15% compared to the lifestyle inflation of 1 to 2% for the average U.S. citizen. For family offices, alternative income investments are a way to replace bond income without taking on the risks of the bond market. But are they going more for the smaller or the larger managers? Find out more about what investors are looking for in their alternative portfolios, and how managers can adjust to attract more capital. When should a manager give up ownership percentage of their fund to get to the next level? Why the millennial generation, female investors, and foundations are driving Impact and ESG Investing. What is “Just” Investing? 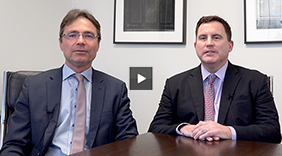 What kind of opportunities do family offices look for in co-investment and direct investing? The psychological components of investing in hedge funds and private equity, particularly for family offices. How can managers successfully market their firm and appeal to investors?